New Video Uploads – Toad Tavern Hangover Helper Show! The cure for hanging over is hanging out. Or something like that. It’s the CD Release of a sountrack for the trailer for a book! Colorado author Michael G. Wallace is releasing “The Red Fire Fly” along with a slew of music that accompanies a promotional trailer. One of the songs in the collection is “That’s What She Did to Me“, by yours truly. 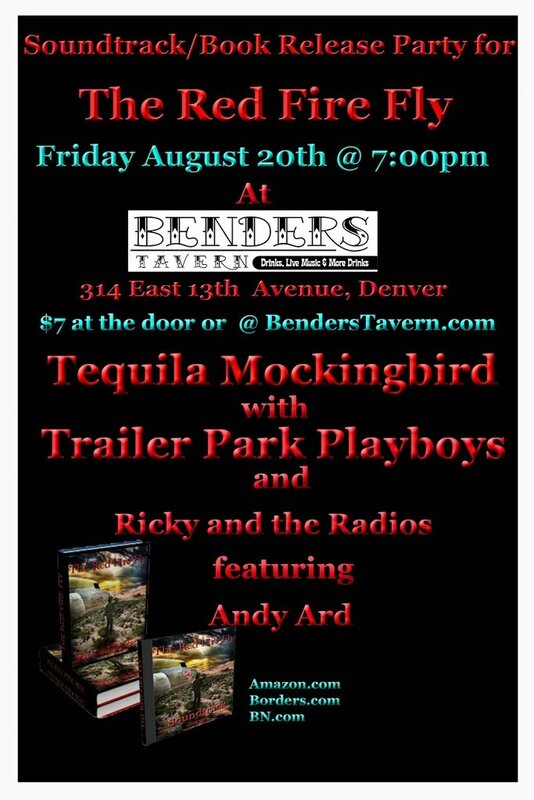 Get on down there to see me along with Tequila Mockingbird, Trailer Park Playboys and Ricky and the Radios. Andy up and formed The Dangsayers, and this is the first video, cut together from the film noir gem “The Man Who Cheated Himself” with Lee J. Cobb and Jane Wyatt! Look for more music soon with fellow Dangsayer Jill Teas. You may already hear the show if the widget on this page works. Andy just recorded a 4-song set with Jake Schroeder at Denver’s 99.5 The Mountain for the Monday, January 26 Mountain Homegrown show. 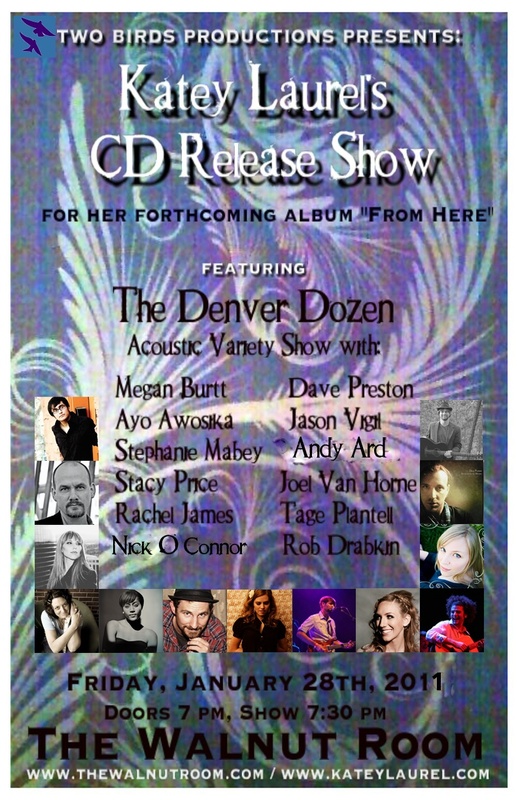 Listeners outside the Denver metro area may listen online at http://www.995themountain.com. They shot the breeze for a while, mostly about music. 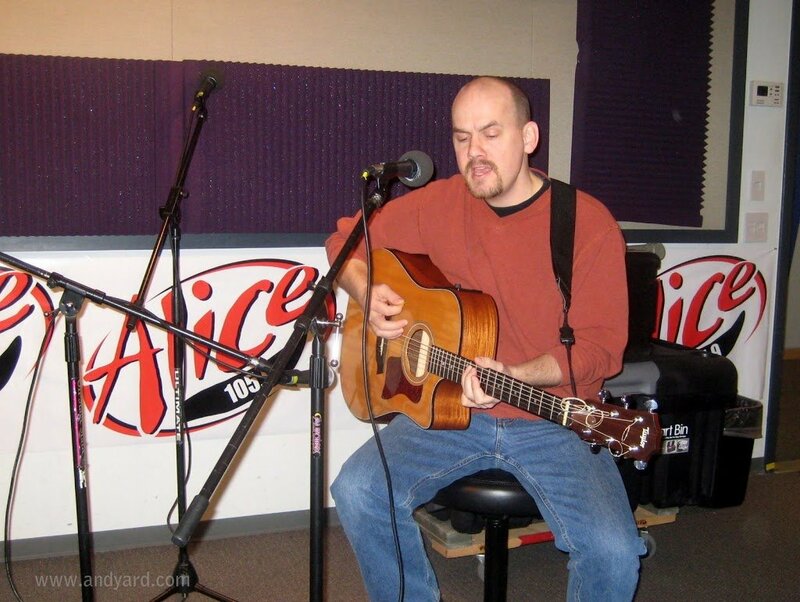 Andy’s busy working on new songs for his forthcoming CD, “Bad Girls (and the Boys Who Love Them)”, so he played acoustic versions of a couple of those songs. In addition, he revisited some older material including his version of a song he co-wrote with Victoria Woodworth and an old gem from the rachel & andy days. Astute observers will note that the picture displays “Alice 105.9”. This is not a camera trick; the two radio stations share the same studio. We’ve been waiting for a site like this. ReverbNation.com is easy to use for uploading tracks, promoting shows, adding pictures and lots more, and best of all it plugs right into Facebook. On the listening end, it must be just as easy to follow favorite bands. We’ll see.